The Balinese religion has been described as a blend of local animist belief and Hindu-Buddhist soteriology. A closer look shows that animism is not a traditional belief in spirits of nature but rather a social response to shamanistic individuals who mediate as invisible agents of particular places or animals in the environment. Balinese temples are basically sanctuaries for such immanent deities that communicate via possession and causing illness as well as health depending on the human behavior regarding these places and animals. Accordingly, Balinese ritual practitioners: lay priests, healers and trance-dancers are often performing shamanistic roles: they negotiate the interests of the gods of these holy places with those of the human inhabitants in different ways and with different goals, ranging from local politics and the settling of conflicts to spiritual healing, and more recently to attempts to defend these holy places against an increasingly secular modern worldview that is imposed both by the economic interests of mass tourism and by a modern national politics of religion that marginalizes shamanist and animist traditions in favor of a â€špurifiedâ€™ Hindu religion based on transcendent belief principles. I will describe how the animist veneration of holy places and the shamanist elements of rituals are conflicting with modern Hinduism that involves a â€šdisenchantedâ€™ idea of nature and does no longer protect holy places. This is particularly evident with respect to recent conflicts emerging over the use of holy places for the interests of the booming tourist economy. Before Buddhism had spread in the Mongolian ethnic society, all the Mongol peoples were following the shamanic religious culture. The traditional worldview of the different Mongolian tribes and clans at that historical period was (as in classical type of shamanic world picture) divided in three spheres: the Upper world (mong. â€“ Ded Zambulin), the world of the Heaven Masters â€“ Tenggeries, the Middle world (Dund Zambulin), the world of the peoples and animals and the Low world (Dod Zambulin) â€“ the territory of the dead and the Master of the underground â€“ Erlik Khan. The shaman (mong. â€“ boo) or shameness (udagan) in the Mongolian society was considered to be a mediator between those three worlds. The main functions of the shamans encompassed not only healing illnesses, but also dealing with the sacralization and protection of native ethnic territory with the help of the Masters of the land, rivers, and any other water source with whom they were in close contact. Since the beginning of shamanism, a shaman/shameness in the traditional Mongolian society was not only involved in the everyday life of the tribe or clan to which he/she ethnically belonged by origin, but he/she even conducted all the economic, social and political affairs of the clan. Periodically in the 8th, 13th, 16th centuries Buddhist religious culture was adopted by nearly all the Mongolian peoples. The 13th century is the time of the Mongol Empire. At that time the cult of the Ever Blue Heaven was very popular among the Mongols. Buddhism has transformed some shamanic beliefs and rituals among the Mongols. Some popular religious traditions â€“ for example – the cult of mountains – were incorporated into the Buddhist religious culture. Nowadays, due to the influence of modernization, neoshamanic rituals have appeared in the Mongol society. The traditional knowledge of the people of Siberia – Shamanism – is the special form of vision and approach toward the world. It emphasizes considering the person as part of space. It is aimed at adapting to the world and focuses on comprehending the interrelation of nature and the person. As a phenomenon that has been present both far back in the past and in the present, Shamanism was created within the ancient dualistic outlook dividing the world into ordinary and sacred. The animistic view of the world is the cornerstone of its concept: belief in spirits and deities of nature, soul of the individuals, spirits â€” assistants to the shaman. It functions under definite laws of the magical and mythological sphere. It attributes human properties and identities to nature and emphasizes natureâ€™s ability to communicate with people. It also gives properties of nature and communication through it to people. In this approach there is no opposition be it spiritual or corporal, part or whole, live or dead, micro or macrokosmos. In traditional culture Shamanism is based on a religious and mythological worldview, broad cult practice, and the shamanâ€™s settled. Shamanism as a religious cult took form on the basis of the initial worship of various animals, plants, rocks and phenomena, which gradually gave rise to the practice of the appearance of many totems. The main totem of the Chori Buryats is a White Swan. In our paper weâ€™ll touch upon the shamanic cult among the ethnic group of the Chori Buryats. Traditional beliefs of the Buryat-Mongol tribes in the Baikal region have been a part of a wider religious discourse that had started in the Mongolian world around the beginning of the 17th century. Indigenous religious practitioners had at that time become the adversaries of the Buddhist leaders and were described by the latter as the followers of â€˜the wrong viewâ€™. Throughout the 18th and the 19th centuries the Mongolian cultural heritage, including traditional religious activities, was being shaped in the socio-political environment of the Qing and Russian empires. This paper outlines the most important facts in the historical discourse on native forms of religious activities in an environment influenced by the Buddhist philosophy and controlled by the Russian administration. The paper proposes a thesis that an analysis of this historical discourse should become an important point in a discussion about how the term â€˜shamanismâ€™ was also shaped by discursive processes of non-Western origin. Since in the Mongolian world shamans have remained silent for nearly three centuries, the only information that we have comes mainly from the parties interested in suppressing or even eliminating them. Eventually, these powers shaped the structure of traditional Mongolian beliefs and gave them a systematic structure of a well-developed religious system (mong. bÃ¶Ã¶gijn Å¡aÅ¡in), which was then transmitted to the Western world by scholars and has until present times been known as â€˜shamanismâ€™. After the collapse of socialist regime, it seems to us that religion is one of the key factors to reconstruct cultural and social communality for post socialist countries. However, does religion unfailingly reconstruct social and cultural communality? In this paper, I will examine how shamanism is disrupting social bonds and challenging cultural cohesion, focusing on the â€œpandemicâ€ of shamans in contemporary Mongolia: the number of shamans has been increasing dramatically over the last 10 years. Surprisingly according to the local media, the total number of shaman number ranges from 15,000 to 20,000 per 3 million of the population. Newly initiated shamans include not only socially subordinated people such as ethnic minorities, the poor, and women, but also celebrities such as politicians, business persons, and pop-stars. Through examination of the phenomenon, I would like to explore what is behind the â€œpandemicâ€ of shamans with relevance to their social context, using key terms such as power, morality and ethics. First, I will detect the source of the â€œinfectionâ€: who plays a major role in the â€œpandemicâ€ of shamans? Second, I will explore what made them shamans by examining the shamansâ€™ narrative, examining their local terms of Khuch(power), yos (morality) and jayag(ethics). Since losing the guiding principles of socialism and also facing excessive competition of capitalism, shamans and their followers overcome their relative deprivation, getting more power in shaping morality and ethicsÂ in their post-socialist everyday life. Iâ€™ll start with a quotations from my article published in â€œShamanâ€ in 2001: â€œAs far as we know, there are no practising shamans among the Northern Selkups nowadaysâ€ (Kazakevich 2001: 143). 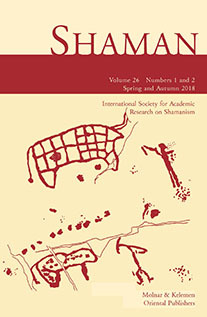 In the same article, having described the ways in which shamanic tradition was still preserved in the Northern Selkup communities, I expressed a hope (rather a faint one, I must confess) that, under the circumstances, a new Selkup shaman might still appear some day (Kazakevich 2001: 145). Twelve years later, in the summer of 2013 I was doing my fieldwork in the Krasnoselkup district, Yamalo-Nenets autonomous area, at the Upper Taz. I had a copy of a tape with traditional personal and shamanic Selkup songs recorded in the 1980s, and my objective was to transcribe the texts of those songs. The songs were performed by Konstantin Chekurmin, a well known Selkup singer, who passed in the late 1980s, so in search of competent language consultants ready and able to help me I went to the Chekurmin family raindeer camp situated in the middle flow of the Tolka River, quite near the Devilâ€™s Lake, a sacred place of the Northern Selkups. It was definitely the right place to go, as I not only found most valuable linguistic help there, but could also witness a start of a shamanic career of the youngest Konstantinâ€™s brother Georgiy. He agreed to perform his personal song of a shamanic novice for me, as well as two songs of his shaman ancestors. In the paper I am going to tell about the family history and the routs of this new Selkup shaman and to analyze his personal song.